An entire ancient city awaits them when they reach the sacred island. The ancient homes, “guest quarters”, market places, public squares and buildings, the sanctuaries and temples dedicated to the ancient gods and every other facility which a well organized city had to offer, come to life before your eyes and fill you with admiration and awe. The Museum, with its numerous exhibits from all the historical periods which are represented on the island, is ready to amaze anyone who visits it. Last of all, next to the Museum there is a coffee shop, where one can take a break and relax. 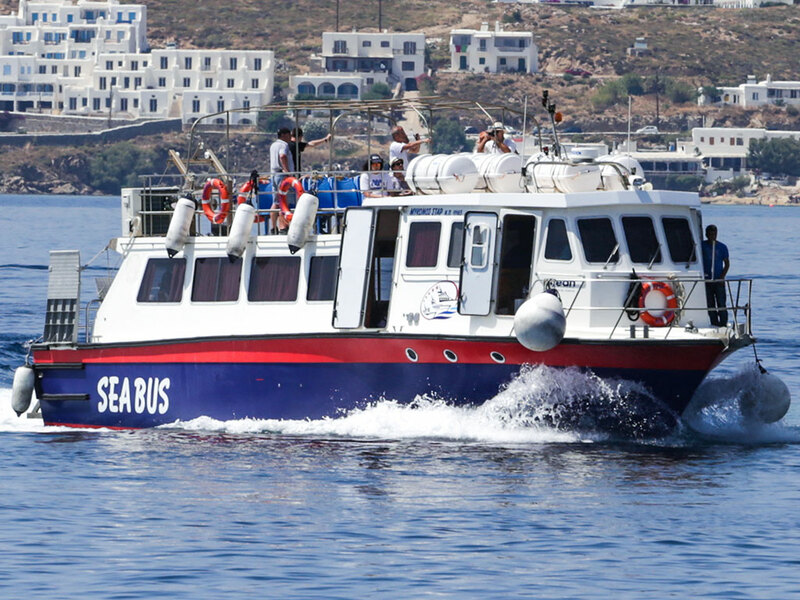 The small boats which service the crossing of archaeologists, researchers, guards, tourist guides and travellers, have been a family business since the1930s, when Captain Constantis ‘Rouhos”, transferred locals and farming animals from Mykonos to neighboring Rhenia with his wooden caique “MARGARITA’. 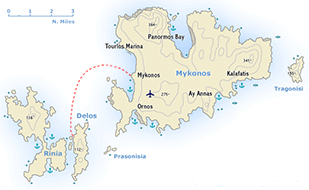 That is when he gradually started taking the first tourists over to Delos. In the early ‘70s, his son-in- law, Captain Giorgis“Asvestas”, took over and replaced the wooden caique with a motorized small boat called “NERAIDA’, which was used up until the end of the ‘70s. 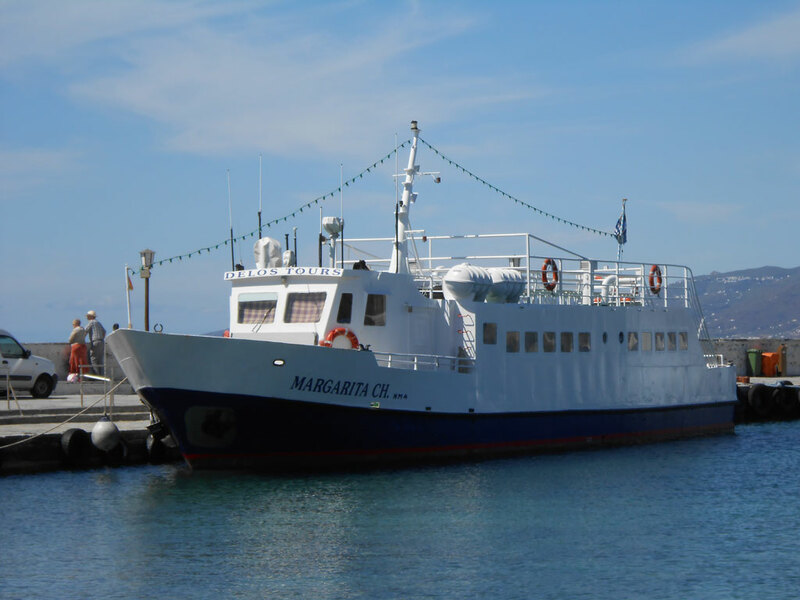 As the demands of the market increased, Captain Giorgis, built a bigger metal boat and called it “NERAIDA II”, which ran between 1986 and 1993, when he replaced it with his first larger 40m long M/V, called ''HERA''. As the years passed, he added new vessels to the fleet. 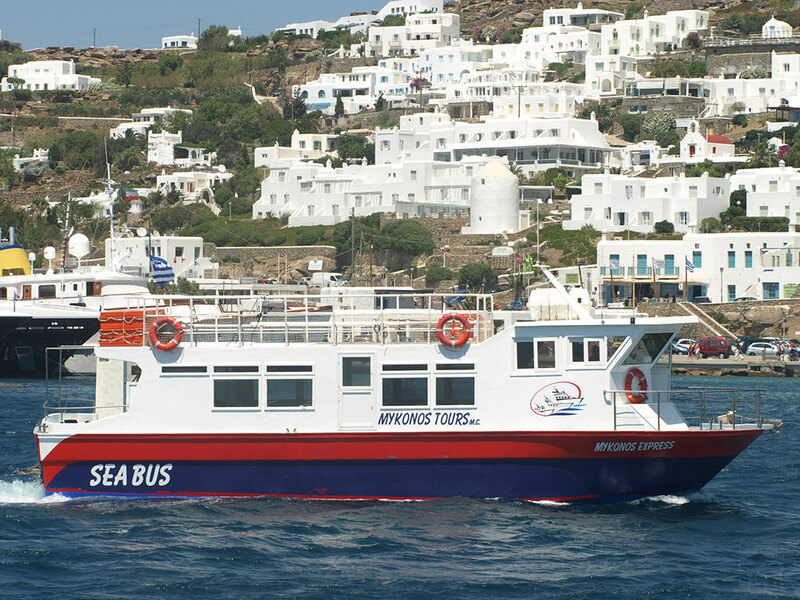 in 2015 the "MYKONOS STAR", in 2017 the ''MYKONOS SPIRIT"/ Glassbottom and in 2018 the ''MYKONOS JEWEL''. 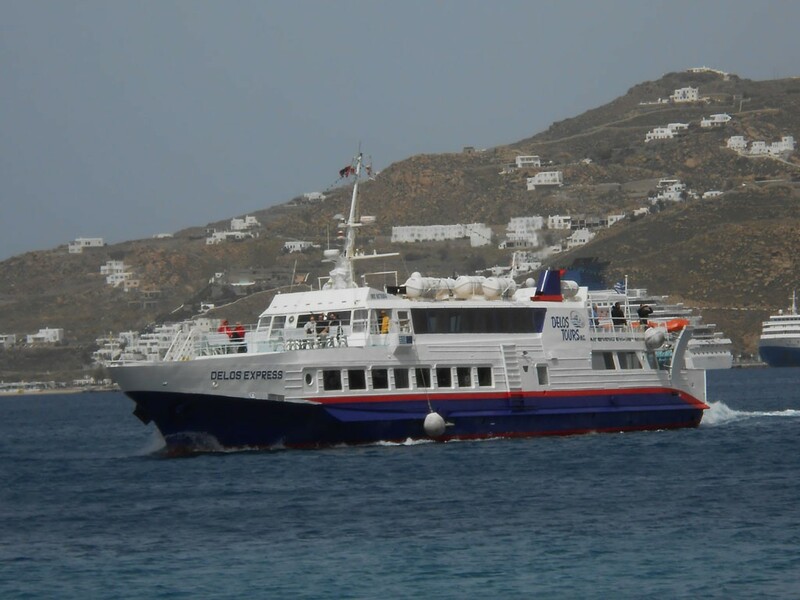 The family with their collaborators continue the tradition of the rapid and safe transfer of pilgrims from Mykonos to Delos, the island of Light.